WE LOVE SCHOOLS. AND THEY LOVE US TOO. 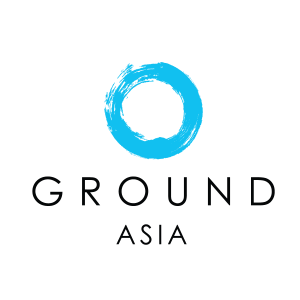 With GROUND Asia, don’t expect the usual tourist trails. Our bespoke high school travel programs and itineraries help students uncover the true essence of each country as they live, work and explore amongst the locals. Wherever you choose to travel with us, each experience will be unlike anything found in a standard travel guide. All the research to make sure the projects have positive long term and sustainable impacts on the communities – giving you less to worry about. Our knowledgeable teams, composed of English-speaking host country nationals, follow a set of safety and support guidelines that govern food, water and accommodation choices, transport, communication, and medical care. Our partner hotels pass safety and fire inspections, our transportation companies are fully licensed and insured and all our locations are served by reliable hospitals or medical clinics with 24-hour medical care. We are committed to operating in a sustainable manner that responds to the needs of not only your students but also the communities with which we work. Working closely with our partners in the high school student travel industry, we aim to ensure that our vision of community development is high priority and that our projects be both sustainable and responsible. While this vision focuses on the communities we partner with, we believe that it also opens the door to a deeper, more transformational experience for your students. Creating the best environment for long-term, sustainable community development ultimately benefits us all. We understand the unique needs of educators and students who are looking for experiences that are interesting, meaningful and impactful. From initial contact through to completion of the trip, we deliver on programs that align with the educational goals of your curricula. We can help educators lead their students through a process of investigating how to choose a project based on desired learning outcomes. During the journey, we fully support your plan of action and facilitate opportunities for students to reflect on their own personal growth and the impact their service learning project has on the local community. Our staff on the ground always encourages students to engage with the local community through activities that immerse them in the daily tasks of local people. Emphasis is on building warm relationships through cultural exchange such as cooking with their host family. Meaningful interactions through sports and games often happen spontaneously with others of the same age and students always make a big and tangible impression on local children when practicing English in the local school. Teaching a group of students who are both motivated and engaged is any teacher’s dream. When leading high school travel abroad programs, students tend to be more motivated, more involved, and more excited about learning than students from a traditional classroom environment. We will work with you to create a customized high school travel program by identifying your student group’s objectives and fit their core needs with the needs of one of our sustainable community projects. Our aim is to build a well-balanced program that meet these objectives through educational workshops, adventurous activities and hands-on community work.